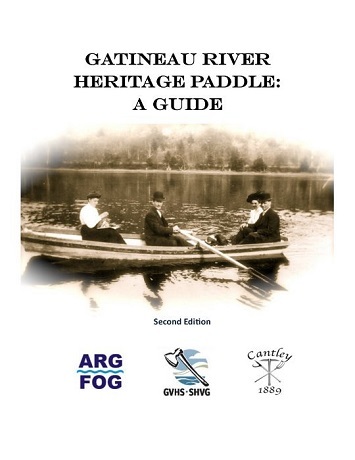 Cantley 1889 is pleased to announce its collaboration with the Gatineau Valley Historical Society on a new publication about the Gatineau River. It's an 88-page spiral-bound booklet that highlights landmarks and other points of interest along both shores of the Gatineau River from Wakefield to the Chelsea Dam. The guide includes detailed colour maps, historic and present-day photos, and descriptive text. It's available in English or French for $20. Contact Cantley 1889 or GVHS for mailing, pickup or delivery options. Also available in the book section of the Wakefield General Store.